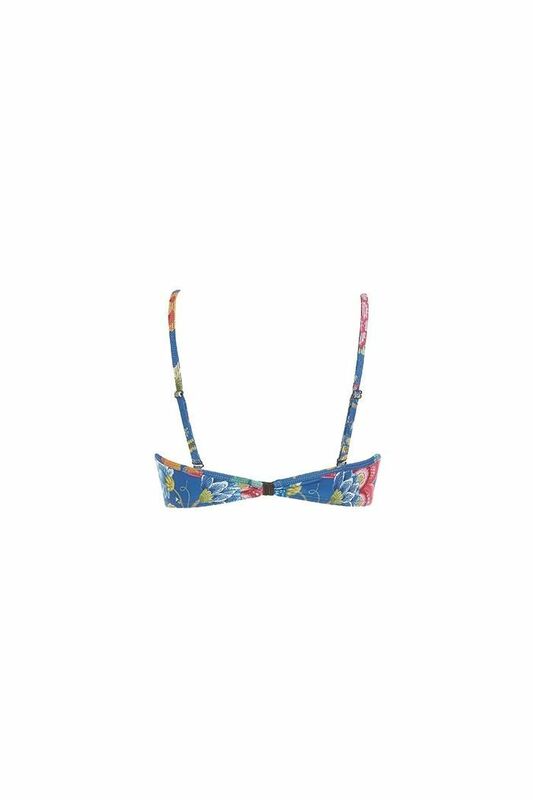 Laura Floral Fantasy Bikini Top is a dark blue coloured bikini top with a floral print. The adjustable shoulder straps can be worn in several ways. The clip fastening, the built-in underwire support and the padding add extra comfort. The b-cup comes with built-in push up. Print may vary slightly. Fabric contains 90% polyester and 10% elastane. Available in width sizes XS to XL, and cup sizes B to E, as well as the colours dark pink and petrol.